After what felt like endless digging outside, we retreated to the couch with a marathon of Downton Abbey, and frequent visits to the kitchen. Eating, munching, cooking, tasting; a perfect lazy Saturday afternoon. 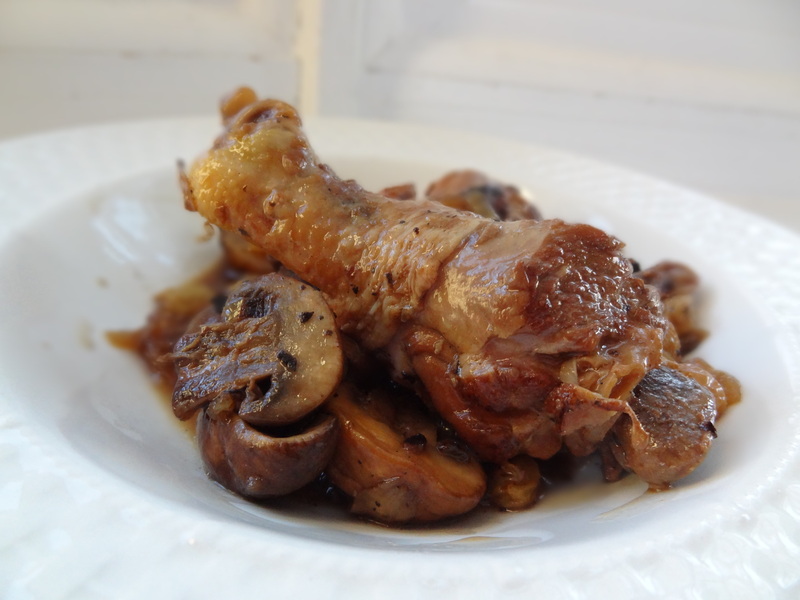 Tonight’s dinner is a twist on the Filipino dish, chicken adobo. 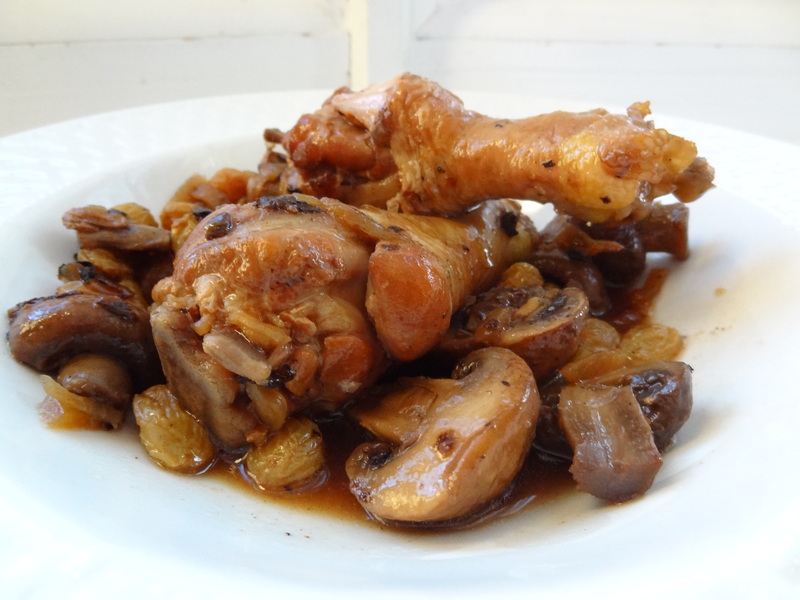 It has very similar flavors (as you can see, the ingredients are nearly identical), except I’ve used a combination of balsamic and sherry vinegars, and added California golden raisins and mushrooms. In a large pot (or dutch oven), over high heat, melt bacon fat, and add onions and garlic. Saute until the edges are brown. Season chicken generously with sea salt and black pepper. Add chicken to the pot and brown for about 5 minutes on each side. You don’t want to cook the chicken, but rather just achieve a nice and crispy golden brown color. Remove chicken from pot and set aside. Add mushrooms to the pot and cook for about 7 minutes, until tender. 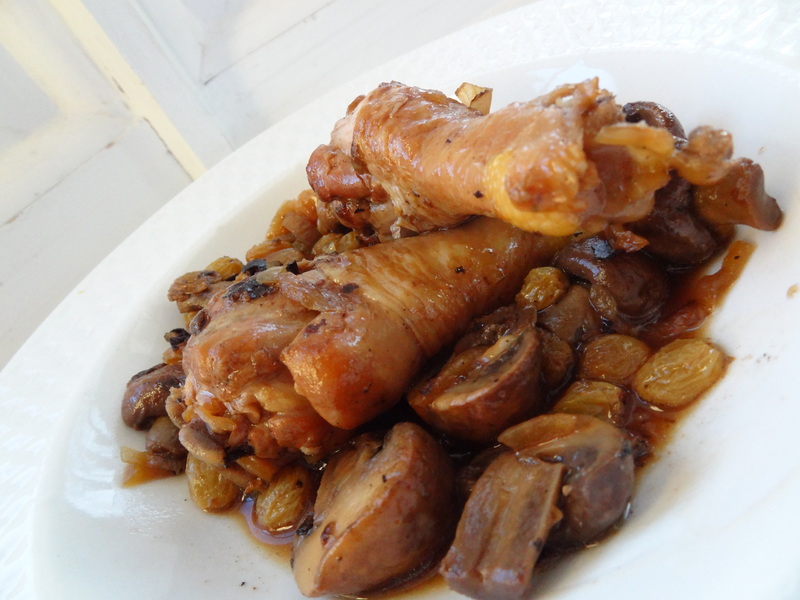 Remove all ingredients (mushrooms, onions, and garlic) from pot and set aside. Place pot back onto the stove top over medium to high heat. Add balsamic and sherry vinegar to the pot, stirring and scraping off any browned bits from the pot. 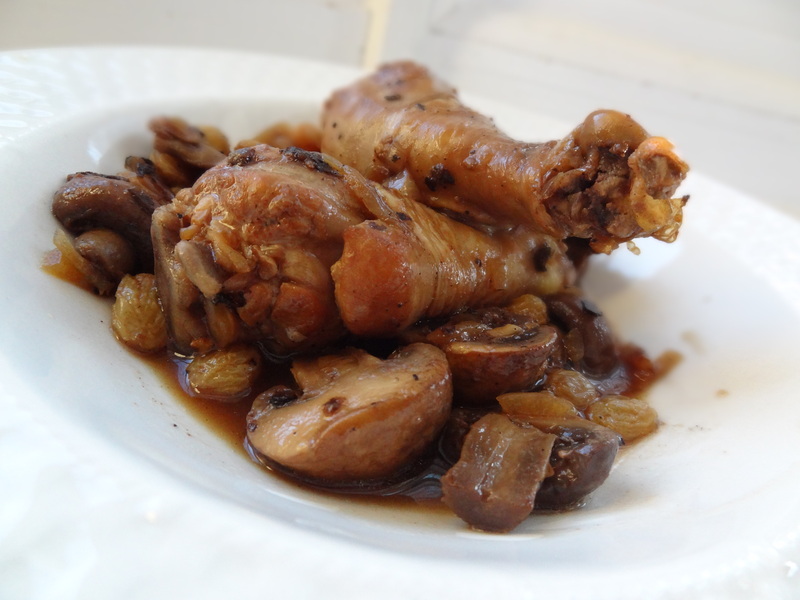 Add chicken broth, raisins, bay leaves, and the reserved chicken, mushrooms, onions, and garlic to the pot. Bring to a boil, reduce to low heat, and simmer for 25 minutes.